Apparently (who knew? 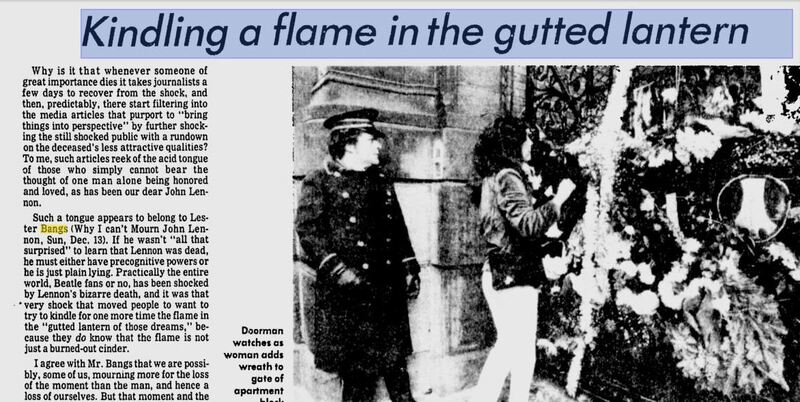 ), the Vancouver Sun ran Bangs’s John Lennon obituary on December 13, 1980. That’s not available online, but fortunately for us, the Dec. 23 issue is available, and it contains a few responses to Bangs’s piece from readers.